An electrifying live recording of Dmitri Shostakovich’s tenth symphony with the Australian Youth Orchestra conducted by Alexander Anissimov. Highly recommmended by critics worldwide for exceptional sound quality, superb interpretation and excellent playing. Read the reviews! These days there is always debate about the meaning of a Shostakovich symphony. 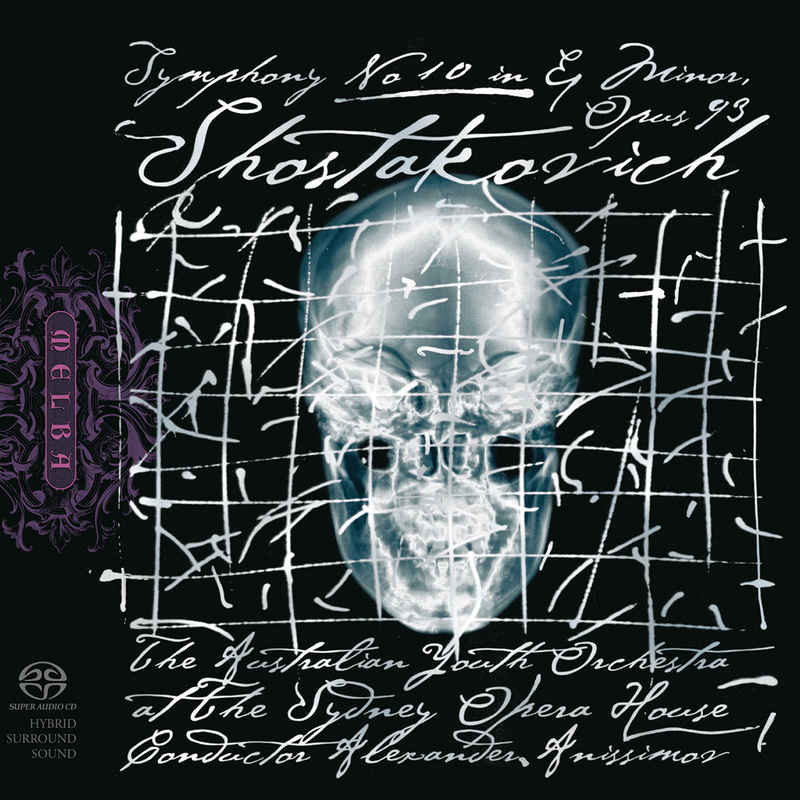 Ever since Western listeners realised they might have been wrong to take Shostakovich at his word when the Fifth Symphony was described as ‘a Soviet artist’s reply to just criticism’, we have pondered the real meaning of his works and tried to find clues in the various writings that have come out since his death: Testimony (purportedly his ‘ghosted’ memoirs), Ian McDonald’s The New Shostakovich, and Elizabeth Wilson’s Shostakovich: A Life Remembered (1994), to name three standard texts. I did depict Stalin [in the Tenth] … I wrote it right after Stalin’s death, and no one has yet guessed what the symphony is about … The second part, the scherzo, is a musical portrait of Stalin … [It is hard] to draw the image of leaders and teachers with music. But I gave Stalin his due, the shoe fits, as they say. I can’t be reproached for avoiding that ugly phenomenon of our reality. It is easy to imagine such a meaning for the second movement, coming so hard and violently upon the heels of the intensely ruminating first movement. It seems so full of terror; of fears of being taken suddenly by the secret police in the middle of the night. With its brutal stamp, this heavy-booted Georgian gopak ‘dance’ is a long way from the customary playful scherzo. The first movement seems to possess that mixture of despondency and relief which may be expected when, after 40 years, you no longer have to feel [in Nadezhda Mandelstam’s words] that ‘every acquaintance [is] a suspected police informer’, but you haven’t yet had the time or licence to fully vent your anger. Shostakovich’s friend Tatyana Nikolayeva, however, claimed that the Symphony No. 10 was begun in 1951. Would that alter the meaning? It’s possible that Shostakovich substantially revised the symphony in 1953, or finally completed it then. He certainly didn’t release it for public presentation until Stalin was well out of the way. From a technical point of view, the first movement is extraordinarily impressive. Longer than the third and fourth movements put together, it exhibits a masterly control of tension. Ian McDonald, writing in The New Shostakovich, praises the way ‘three themes weave in and out of each other with effortless ingenuity.’ Though heavy with thoughtful pauses, the mood of the opening, deep in the strings, is very much that of a slow stirring to life. McDonald sees ominous significance, however, in the way the first note of the sextuplet figure is so quickly dropped. The important clarinet theme next emerges. Klaus George Roy, annotator for the Cleveland Orchestra, has pointed out that this clarinet melody may be a quote from the fourth movement of Mahler’s Second Symphony – from the song Urlicht: ‘Der Mensch liegt in grösster Not’ (Humankind lies in direst need). This would not be surprising. Shostakovich admired Mahler and quotes from his songs are not unusual in Shostakovich’s works. They often provide clues to the meaning of the music. This symphony also quotes ‘What’s in my name?’ from Shostakovich’s own Four Pushkin Romances. In the ‘Mahlerian’ section of the symphony, Shostakovich even adopts Mahler’s original instruction to the performer of Urlicht: ‘schlicht’ [simply], writing it, in Italian, as ‘semplice’. We have been listening for nearly eight minutes when the flute launches what could perhaps be described as a pessimistic waltz: the symphonic movement’s second subject. It is the development which unleashes for the first time the movement’s underlying terror. Significantly, the ‘Mahler quote’ material is developed. The scale of emotion is immense: the music is so demanding that in the central tutti the first and second violins have to play continuously for well over four minutes with scarcely a semiquaver rest. Such an outburst, however, fails to dispel the predominantly bleak mood. The movement ends, after a brief recapitulation of the main themes, with a cold coda of duetting piccolos. The contrasting styles of the first two movements suggest the high probability of an internal program. But what does the third movement Allegretto mean? Here Shostakovich quotes his own musical motto, the intervals D – E flat (in German, pronounced ‘Es’) – C – B natural (H, in the German musical spelling): DSCH, for D. Schostakowisch. He also makes telling use of a horn call, a harbinger of warning since the times of Beethoven, Wagner and Mahler. The opening bars, though, present the DSCH motif in altered form – CDSH (C – D – E flat – B). He may have asked what was in his name, but could this symbolise the mask Shostakovich had to assume in public? McDonald speaks of the way the second subject – ‘tart winds trilling a staccato combination of D-S-C-H and [a] rat-a-tat figure’ – represents the people’s theme appropriated by the authorities. Just as the people gain in confidence, the horn sounds, and the real people emerge, depressed, downtrodden. 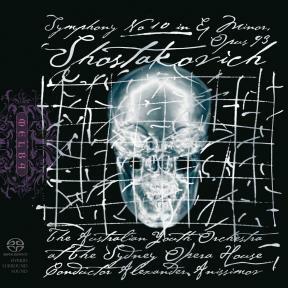 The whole of the second half of this symphony sees, in critic Michael Steinberg’s words, the ‘imprinting of [Shostakovich’s] own presence’, and in the finale the ‘Shostakovich theme’ seems to assume a warning role. I have sometimes imagined that [Shostakovich] would have been happy had circumstances allowed him to be a latter-day Haydn, unburdened by any obligation to devise weighty, “significant” endings. But can we assume that no meaning is desired here? David Heaton speaks of Shostakovich’s finales as ‘false dawns’. You might be meant to hear them as hollow celebrations. [a] tragedy of the profoundly isolated individual, helpless in the face of the forces of evil … Such a conception of the world is very far from that which is experienced by the majority of Soviet people. Shostakovich responded by offering his own self-criticism: the first movement is too long, he said, the second movement too short, the third movement, though ‘more or less successful’ is too long in some places and too short in others. How could anyone take this to be serious self-criticism? It was Shostakovich at his usual passive-aggressive game. When he said of the first movement that ‘I have still not succeeded in writing the real symphonic Allegro,’ surely he had to be joking (albeit bitterly). It was to this movement that Arnold Schoenberg was referring when he said that Shostakovich was one of the few among his contemporaries who had ‘the breath of a symphonist’.